Cons: Close to highway and loud at certain points, view of built up area takes away serenity. 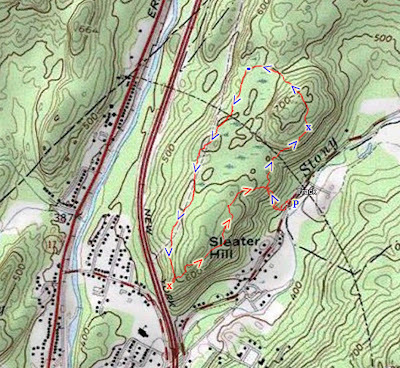 I parked on the small parking area on Johnstown Road by Daters Mountain County Park, which is adjacent to Harriman State Park near Sloatsburg. 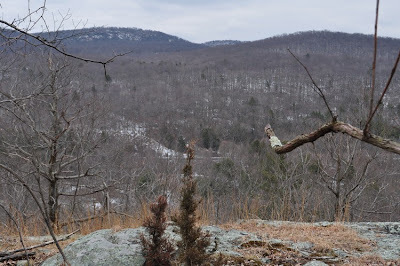 I climbed the short steep part at the Orange Trail trailhead, and then continued along the Orange Trail north to the view (this view is not listed on the trail map). 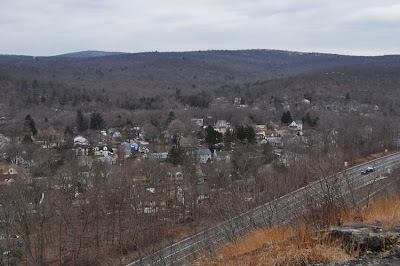 I then continued along the Orange Trail until its intersection with the Blue Trail, and looped back the entire length of the Blue Trail passing the view overlooking the Thruway, and then heading back down the Orange Trail back to my car. I don't think these trails have any official names, so if anyone does now if these are named please feel free to comment. 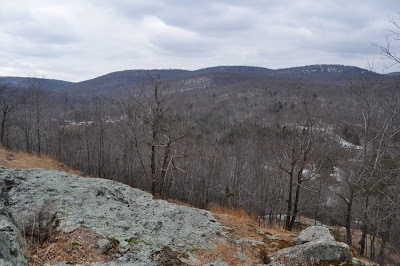 The view on top of the mountain from the Orange Trail. 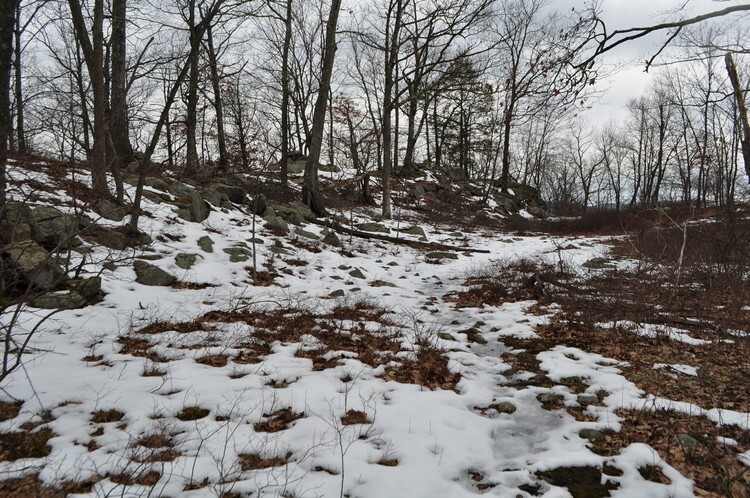 Some Remaining Snow Near the Crest. 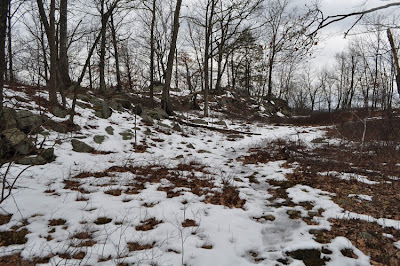 This may be the last remaining snow of the season. 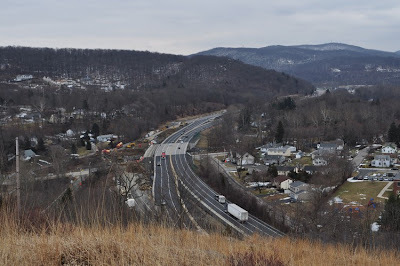 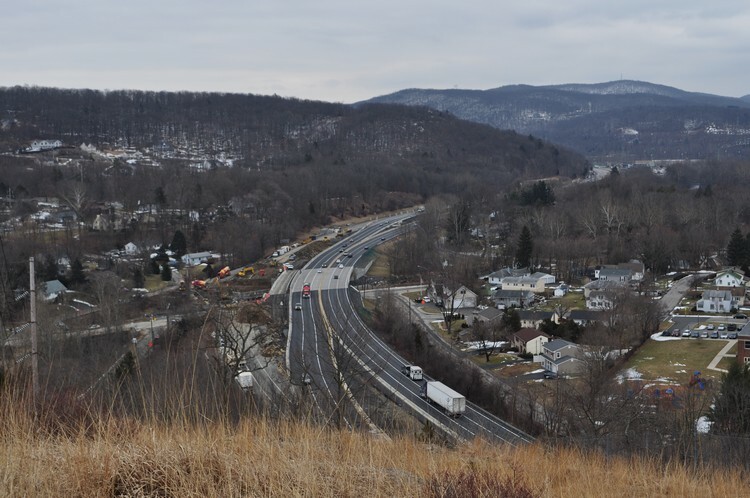 View of Thruway from Sleater Hill. View from Sleater Hill Facing Northwest. 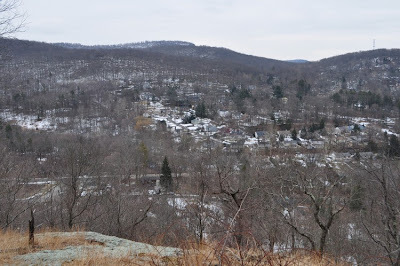 Part of Sloatsburg with Ramapo Torne in the Distance.